NOTE: This content is old - Published: Monday, Sep 21st, 2015. 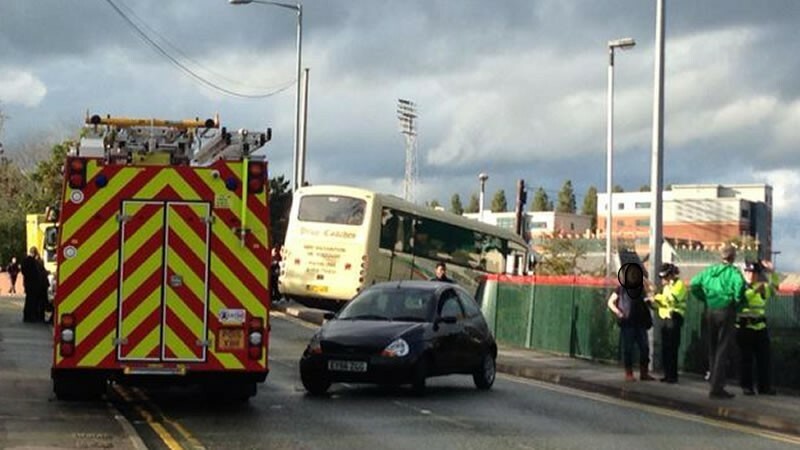 A coach which collided with the railings of a Wrexham Train Station has been recovered from the scene following an incident earlier this afternoon. 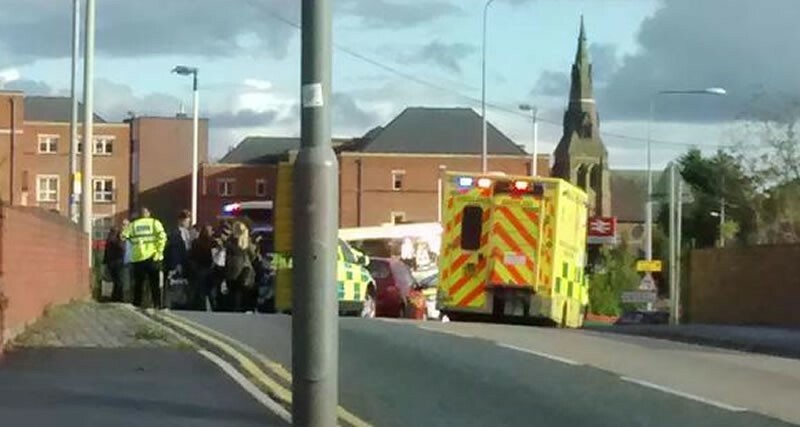 Shortly before 5pm this afternoon a number of people contacted Wrexham.com to say that a bus had been involved in a collision near the Wrexham General Train Station on Mold Road. Passengers were evacuated from the vehicle which had ‘collided’ with the railings directly above the train station car park. As a result of the collision it has been reported that the A541 Regent Street both ways is currently blocked with queueing traffic in the area. There was significant traffic around the Mold Road / Crispin Road area, with some motorists turning around and seeking alternative routes from the area. Wrexham.com also saw an ambulance heading toward the scene however it is not yet known if anyone involved has sustained any injuries. 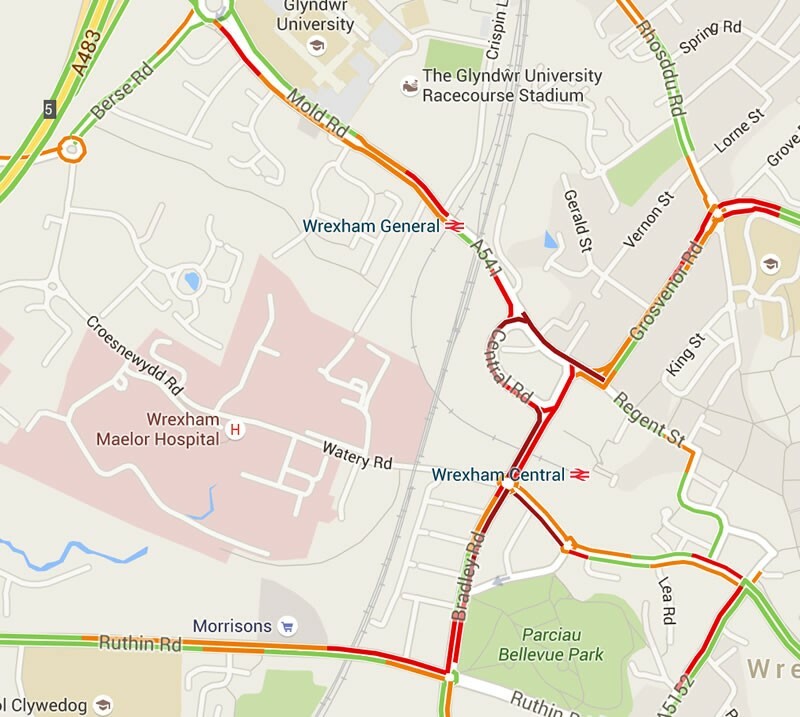 @wrexham I was stood below by the bus stop, bus would have come crashing into me if it wasn’t stopped by railings. Very scary! We have contacted North Wales Ambulance Service and are awaiting further comment. To confirm Regent Street fully open both ways – but told the railings will take a while to replace properly. Apparently quite old & fancy!